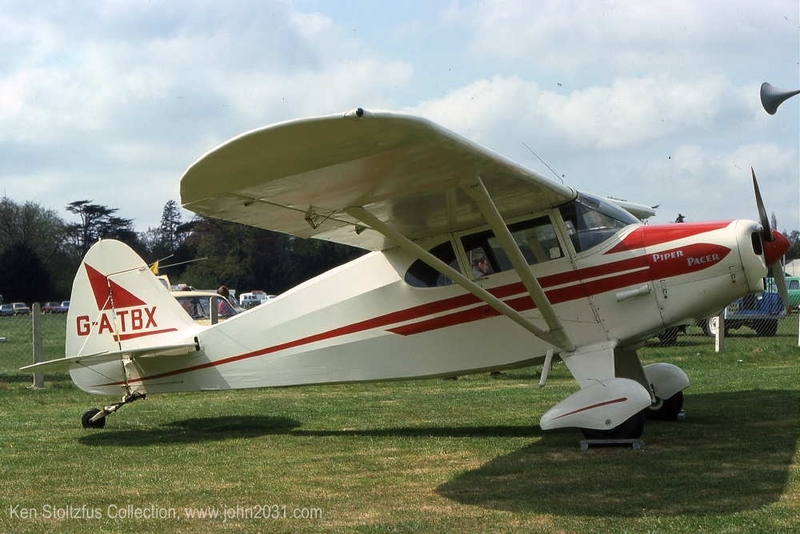 Piper PA-20 Pacer aircraft, airplane pictures and information. Welcome to www.john2031.com, all about aviation, aircraft photos, and stuff that really matters! 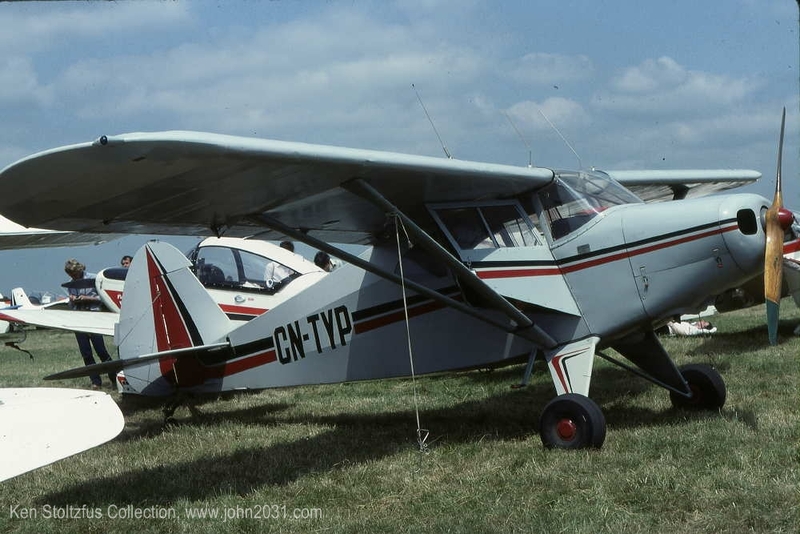 The Piper PA-20 Pacer was the next step up from the PA-16 Clipper, and they were built under Aircraft Specification 1A4. The Pacers have flaps; balanced elevators; a control wheel to replace the stick; and are four-place except for seaplanes. Several models were produced as indicated below from the four sections of 1A4. 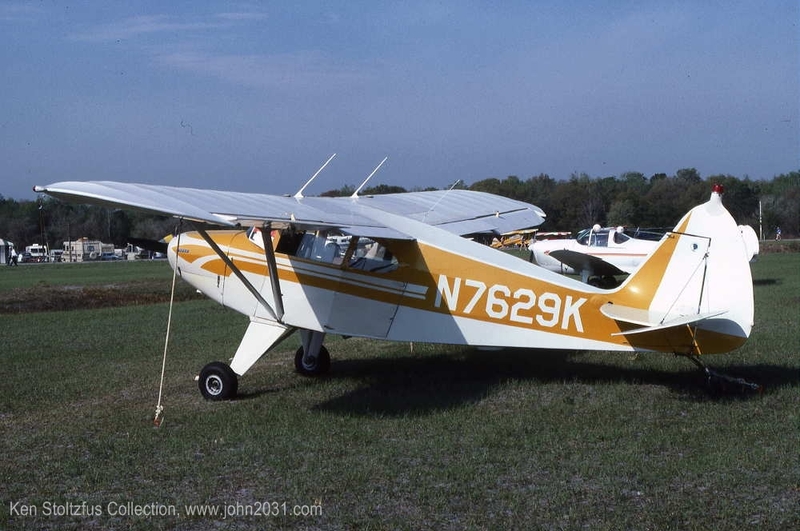 Over 1100 PA-20s were produced from 1950-54 and nearly 550 are on the current FAA register, plus many PA-22's that were converted to taildraggers. 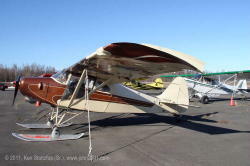 I - PA-20, approved 12/21/49, 125-hp Lycoming O-290-D; #1800 gross weight; #50 baggage; 36-gal. fuel; and were Construction Numbers 20-1 and up. 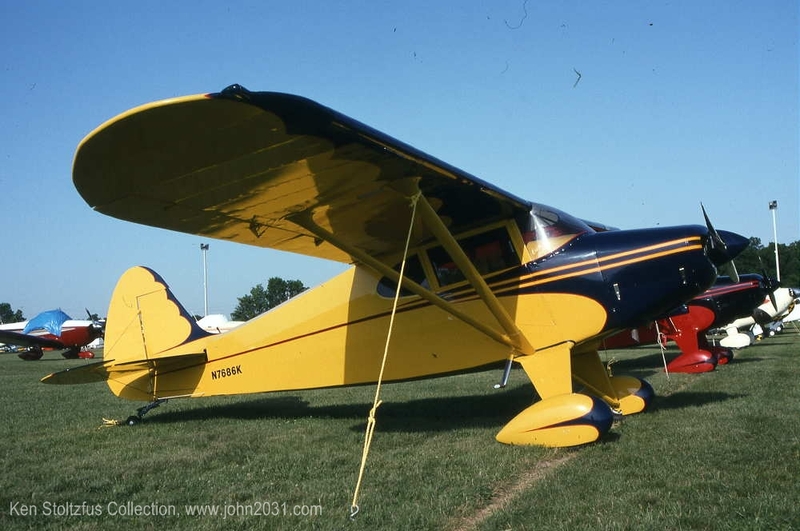 II - PA-20 "115", approved 3/22/50, 115-hp Lycoming O-235-C1; #1750 gross weight. I doubt if many were produced and only one is currently on the U.S. Register. III - Seaplane, PA-20S and PA-20S "115", approved 5/18/50; PA-20S "135" approved 5/15/52, all three-place and #1738 gross. 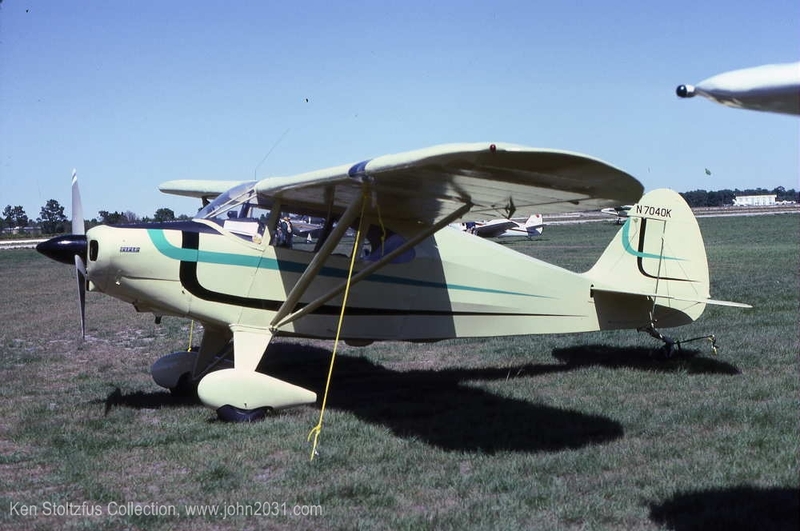 IV - PA-20 "135", approved 5/5/52, 135-hp Lycoming O-290-D2; #1950 gross; #100 baggage; CN 20-877 and up. 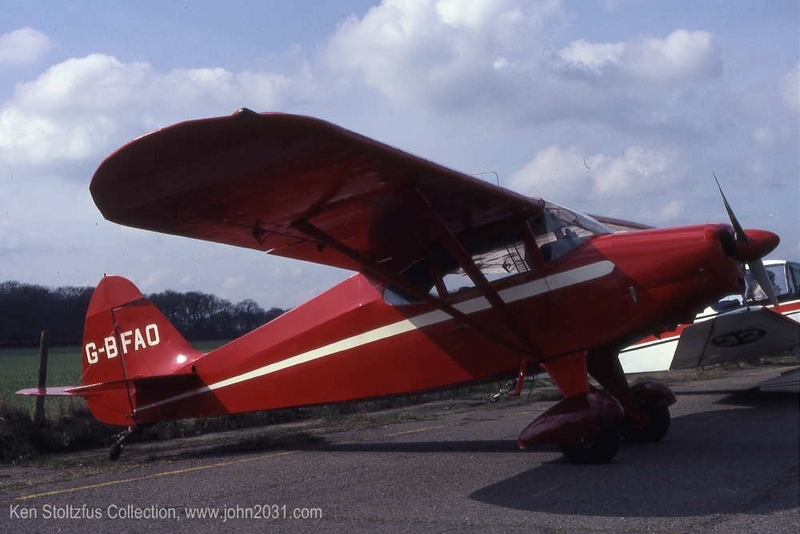 Many Pacers have been converted to the O-320 Lycoming and probably even the O-360, and generally that is not indicated in the FAA Register. Model and engine information below is from the register and indicates the engine the aircraft was built with unless I have additional info. The Pacer evolved into the PA-22 Tri-Pacer. Note that there are five different wing tip designs here, including the original, rounded tip. 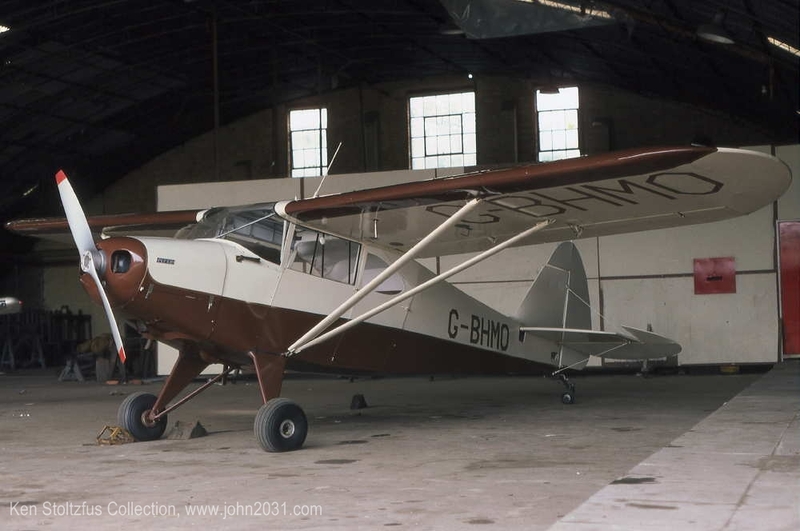 Piper PA-20 Pacer G-BHMO, 1950 PA-20/O-290-D, ex F-BDRO, in France from 6-50, to UK 4-80, 10-80 slide. Most of my slides are for sale. Piper PA-20 Pacer N7049K, 1950 PA-20/O-290, at PABV Birchwood, AK 5-10. Note the left hand, pilot door, straight skies, and cowl mod that probably indicates a bigger engine. And again in 4-11 in a lineup with friends at Birchwood. This is a highly modified and very sharp Pacer. 20-158 Piper PA-20 Pacer N7050K PA-20, '50, O-290 at Merrill Field 5-12. A closer look. Piper PA-20 Pacer N7481K, 1950 PA-20-135, with a Lycoming O-320, at Lake Hood ANC AK 5-10. Retractable skies, and float fittings. 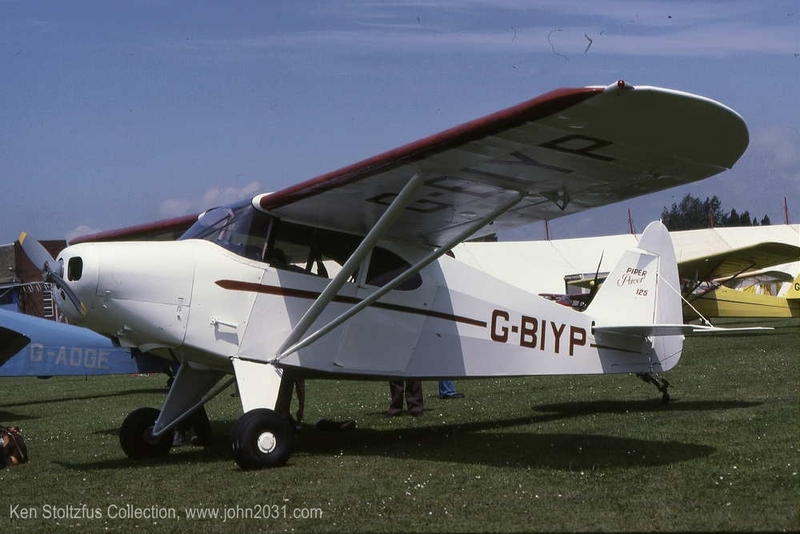 It looks like a long-wing short-wing Piper, with those squared off and extended wings! Serious tips, too! I saw it on the ramp again in 4-11 but this time with an engine cover. And then in 5-12 I saw it on a dolly in the Z41 Lake Hood Strip parking area but obviously it would be taken to Lake Hood for flight. This is one pretty Pacer - - and obviously quite versatile. Piper PA-20 Pacer N7491K, 1950 PA-20/O-290, at the Tube, Fabric and Tailwheels fly-in at 64I Lee Bottom Flying Field, Hanover, IN 9-10. The cowl says "Pacer 115" but the register says it has an O-290. Piper PA-20 Pacer N7628K, 1950 PA-20/O-290, all bundled up at PAUO Willow Airport, Willow, AK 4-08. Piper PA-20 Pacer N7709K, 1950 PA-20/O-290 at PAWD Seward, AK 7-04. Float fittings and a seaplane door. It has that "been there done that" look. Probably an O-320. Note the wrestling team info. Piper PA-20 Pacer N5589H 1951 PA-20/O-290, at PAUO Willow, AK 4-08, waiting for the snow to go away and the flying to start. Cowl says "Pacer 125" so I would guess it is stock. Squared off wings with nice looking tips. It's a pretty Pacer! I saw it again at Birchwood in 4-11. 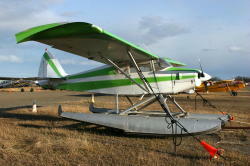 Piper PA-20 Pacer N1526A, 1951 PA-20/O-290, with a color-coordinated panel at PAMR Merrill Field, Anchorage, AK 4-11. It looks quite stock except for the tires, and there's no question about the identity! N1562A, 1951 PA-20/O-290, climbing out at PALH Lake Hood, Anchorage, AK 7-04. Probably an O-320 or more. Piper PA-20 Pacer N2105A, a 1952 PA-20-135 BGQ Big Lake Airport, AK 4-08. Float fittings, and probably an O-320. Piper PA-20 Pacer N2358A, 1953 PA-20-135, looking sharp in the morning sun at PAFA Fairbanks International Airport, Fairbanks, AK 4-08. Float fittings. 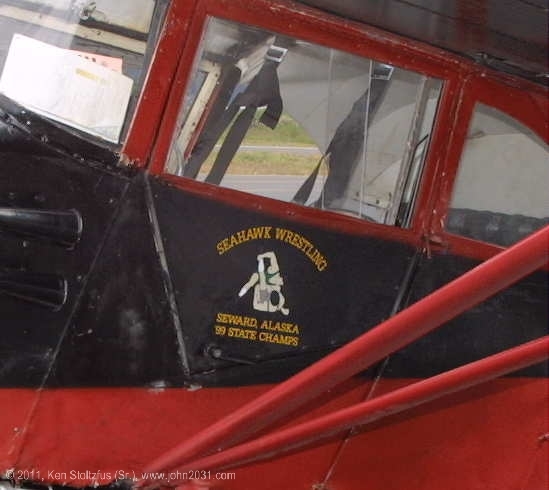 Piper PA-20 Pacer N2698A, 1953 PA-20-135 appears to be waiting for floats at PALH Lake Hood, Anchorage, AK 5-10 - - except that I don't see float fittings on the Pacer, so maybe not!. Piper PA-20 Pacer N3404A, 1953 PA-20-135 needing a little air at PAMR Merrill Field, Anchorage AK 7-04. Float fittings, and probably has an O-320.